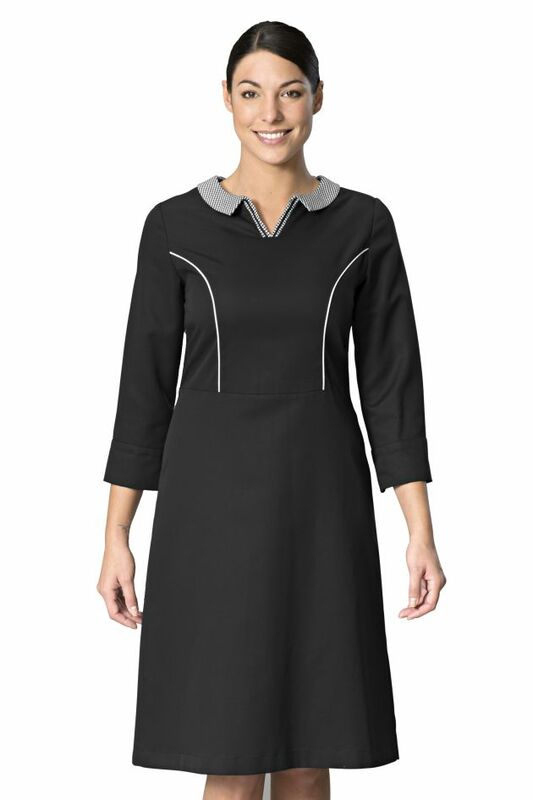 Women’s chambermaid dress. Collar and contrasting details in black and white gingham. 3/4 length sleeves. Sleeve gussets, back in COOLMAX® fabric. Copyrighted pattern. 50% Tencel, 50% polyester. Black. 36 - 56.